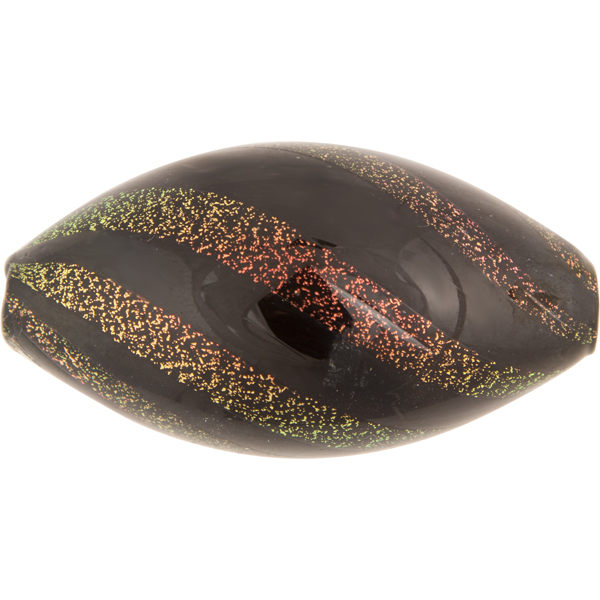 Fantastic dichroic beads in our blown series. The base is opaque black with swirls of our copper shimmers dichroic. The effect of this dichroic ranges from greens to beautiful coppers depending on the light. If you are looking for a dramatic bead - this is it. Works realy well with our copper findings and solid black beads or even rubino which brings out the pink tones of the copper. This is in a oval shape about 50mm in length and about 28-30mm in diameter.